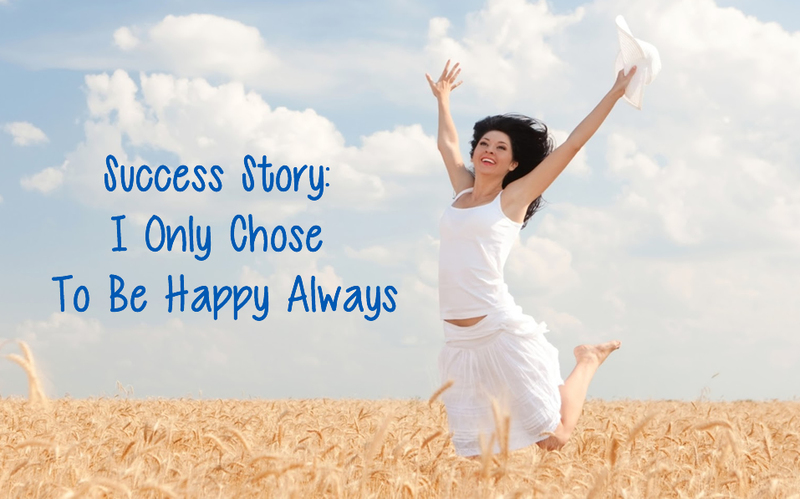 In today’s story the author explains how she always chooses happiness over everything. She has seen some really great changes in her life with the help of this positive attitude. Hello readers, I want to thank Rhonda Bryne her team of The Secret and The Magic, and to everyone who is reading this story. I have been following The Secret for quite a while and witnessed great gifts. I was raised in a environment which was neither easy nor supportive. I had big goals and I was criticized for it. It was tough on me as the reality was something else. I still chose to be happy and thankful in life. It made me feel good and strong. I continued with my regular life and just being positive. Things started falling in place and it is amazing how some of my dreams came true. The naysayers whom I knew were surprised and could not believe it. I still chose to be happy and wished good things for everybody. I started travelling to different countries, exploring beautiful things in the world. I had always believed in being fit and healthy from my childhood. I was also mocked and bullied for my body frame for a long time. I still chose to be happy and loved myself. Today, I have the abs and look fit. People complement me for my physique. Men and women ask me for health advice. It is crazy how things have turned out. I had a good height but I still wanted couple of inches more. I grew in my 20s. I was surprised myself and also happy. I only chose to be happy always. I am struggling in my career but I also know I am on the right track. So, I feel good. Right things and perfect people are being aligned for me recently. In another two months I am travelling to my dream destination for my goal. I am very blessed person. I have lots of good things in life and I want to give more back. Today, I am very proud of myself. I love and respect myself. I have realised my true nature and purpose. When you know it, you will have a feeling of relief and composure. It will make sense and you will be ahead. I hope this story helps you. No matter wherever you are, I am sending you hugs to wish you a good day. Be brave and have faith. About the Author: I am a blessed person living in a wonderful world.